It feels like saying that the last week of the EU LCS was upset-heavy is becoming a bit of a cliche, but things have really gotten out of hand. Whether it’s Vitality taking down Fnatic or Splyce droping a game to H2K (their first win of the split as well), heads are still buzzing after an action-packed week of games. There’s no time to waste however, as there are only two weeks of regular season play left, and the standings are in complete chaos. While Fnatic should, by all means, be able to secure a Top 2 finish and get a playoff bye as well, how the rest of the standings will pan out is anyone’s guess. There shouldn’t be any huge surprises when all is said and done, however the order in which teams will end up is completely up in the air. Now, while that does make for a far more exciting and competitive viewing experience, it’s a complete nightmare when you add betting to the equation. 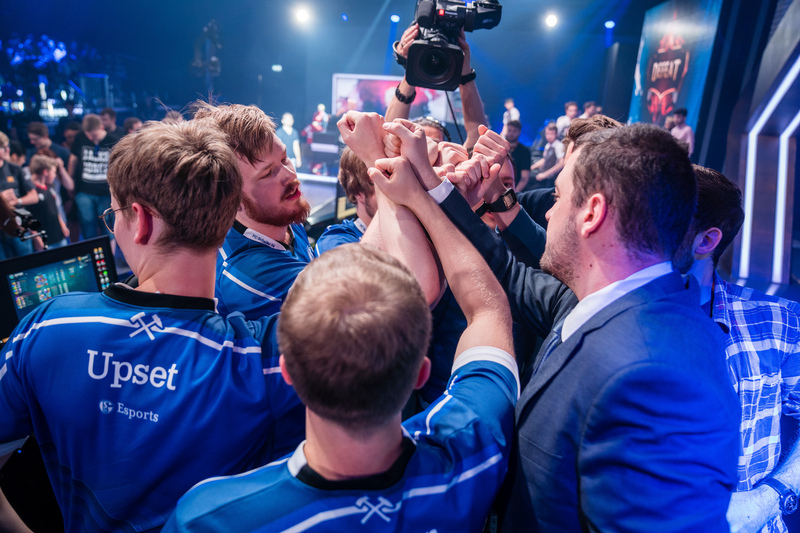 Betting on the EU LCS became increasingly hard as the weeks went on, and right now we’re probably at an all-time high when it comes to unpredictability. That said, we do have a ton of detailed statistics to help us out in the process of making our choices, so we can have at least some confidence going into this week’s matches. ROCCAT vs. Splyce – To start off the day, we have a somewhat interesting clash between two teams that are quite literally fighting for the very last playoff spot. Splyce have the upper hand in every way, shape, and form, but perhaps most importantly they have a better win/loss record. They’re just above ROCCAT and if they manage to take them down they will create a gap that could prove to be insurmountable. Last week wasn’t a good one for Splyce overall. Sure, they beat the Unicorns of Love but that’s not really an achievement worth bragging about. Their Saturday game against H2K was an absolute shocker. Losing to the tenth ranked team – that was winless – isn’t really a good look if you’re aiming for playoffs. Splyce were completely out of sync, they were reactive and scared to make any plays. To make matters worse, their individual play wasn’t up to snuff either. With the meta shifting back towards traditional marksmen, Kobbe should be able to improve on his play and have a much bigger impact. ROCCAT, on the other hand, failed to keep their 1W-1L per week streak going, as they ended week seven without a single win. That’s quite a problem when it comes to their playoff chances. They’re currently sitting with six wins and eight losses and while that isn’t exactly an abysmal record, they didn’t show anything worth mentioning over the last couple of weeks to warrant anyone’s benefit of the doubt. Make no mistake, there could be fireworks. Or, at worst, since Splyce are involved, it could be an absolute bore. You never really know, as it depends on the day. The winner of this game comes one step closer to clinching the last playoff spot. If ROCCAT take Splyce down, they could come closer in the standings and perhaps even overtake them if everything goes in their favor. But there are a lot of “what ifs” in that scenario, and they would have to play much, much better than they did over the last couple of weeks. Sure, Splyce aren’t better by a lot, but at least when they’re all on the same page they look and play like a top-tier team. We’re going with Splyce on this one, but not with full confidence. We’re obviously going with Misfits on this one, but not with full confidence. The image of Splyce losing to H2K is still fresh in everyone’s mind. They’ve gotten that elusive first win, they don’t have anything to lose so they’re just playing for fun. If they can upset a top-tier team they will surely aim to do so as well, and Misfits could be the perfect candidate. They’ve been dropping games left and right, and they finished Week 7 without even a single win – pretty shocking considering just how dominant they were at the start of the Summer Split. Betting on this game, as unexpected as it might sound, is really unadvisable. Sure, Misfits are predicted to just come in and wreck house, and by all means that could happen, the chances are astronomically high. But H2K does have a chance. They’re the underdogs, and they’re looking to play spoiler. Larsson has been playing extremely well, especially for an LCS rookie, he was able to go blow-for-blow with Perkz and Nisqy, and with Caedrel performing relatively well in the jungle, they’re actually playing like a solid team. Predicting this one is extremely hard, but we’re going with Misfits. They’re fully aware of their slump and they know that this is perhaps their last chance. While H2K might come out gates swinging, Misfits should have the edge in every stage of the game. They have more experience as well as better laners. That in itself should be enough. While it might not be clean nor dominant, they should be able to get the win. If they draft comfort picks and play things slowly, they should have the upper hand. That said, stranger things have happened, and if you feel like a huge upset is in the making, then by all means go for H2K. Unicorns of Love vs. G2 eSports – Next up we have a clash between the former kings of Europe and the fan favorite Unicorns of Love. While this isn’t really screaming “high-quality League of Legends”, it does have a lot of potential, especially after seeing Unicorns’ play last week. While they’re out of the playoff picture, they still want to end the split on a high note, and taking G2 down would be exactly that. Throughout the split, their level of play has been pretty mediocre. They don’t excel at anything right now, and that’s a shame. To be fair, they were able to draft some fantastic engage last week against Vitality and execute almost to perfection, but overall they’re lacking in every department. For some reason, they decided to start with Neon instead of Samux over the last couple of weeks and it’s a decision that didn’t pan out well. Without Samux’s late game consistency, they have one less tool at their disposal, and against better teams that’s a problem. As for G2, they’re currently tied for third along with Team Vitality and Schalke, and they know that this game is easily winnable. They’re aiming for that Top 2 finish as they know just how important a playoff bye can be. Unfortunately, the competition is really stiff right now and G2 as a whole hasn’t been performing that well – at all. Ever since funneling team comps went out of the meta, they’ve been struggling in almost every single game. You still get to see their prowess from time to time, but they’re far too inconsistent. Hjarnan in particular wasn’t able to have any kind of impact in the last couple of games, and with the meta shifting back to standard AD carries, we’ll have to wait and see how well he’ll perform. G2 should have the edge in this game, but it all depends on which G2 comes out to play. If we get the reactive, slow, and frightened G2 then this could go into the late game. If, however, Jankos comes to play and doesn’t feed in the early game, then they should be more than able to dominate from the very get-go. Fnatic vs. Giants – This is where things get extremely interesting – and that’s not exactly something you’d expect. Two weeks ago, Giants were thought as a bottom three team – and with good reason. Their play was incredibly inconsistent, and even when they did get on the same page and play some of their best League of Legends people still weren’t too impressed. Last week, however, things changed. They were able to replicate the level of performance from their scrims to the stage and it showed. They took down both Misfits and ROCCAT in the same week, and they’re two teams that are not only deemed better than Giants but they’re also playoff material. They want to go for a miracle run and if they have the tools to do – starting with confidence. While it’s going to be incredible hard they do have a chance of getting a tie-breaker. While it’s pretty hard envisioning Giants taking down Fnatic, in the current meta anything is possible – especially if Fnatic draft a poor team comp. This game also marks the (probably triumphant) return of one of the best Western AD carries of all time – Rekkles. The 2018 Spring Split MVP – who completely demolished G2 in the finals – is coming back after a lengthy break. Since the pros will be playing on patch 8.15, the meta will slowly but surely shift back towards traditional marksman, and even though Bwipo played incredibly well throughout his bottom lane stint – you just don’t skip on the opportunity to get Rekkles back into action. He’s incredibly consistent, and has been Fnatic’s best performer for quite some time now. How the break will impact his play – less scrim time, perhaps some stage rust – remains to be seen, but he’s been through all kinds of twists and turns throughout his career, so you can expect Fnatic to look as good as they ever did. We’re obviously going with Fnatic on this one. Regardless of the draft and the starting line-up, their level of play is head and shoulders above the rest of the region. Or, at the very least, above Giants. They’re far too strong in the current meta, they can draft a plethora of different team comps and execute almost anything to perfection. Schalke 04 vs. Team Vitality – The best for last. This might not be the most exciting, or entertaining game of the day, but it carries a ton of significance for both teams, as well as the overall standings. Both Schalke and Vitality are tied for third with G2, and the winner of this match comes one step closer to securing a higher spot. Both teams won’t be satisfied with third place – they want the playoff bye, and they want to have an extra week to recuperate and strategize. Both teams are on some pretty impressive winning streaks and this is the moment when one of them will continue their rise whereas the other falls – at least for a little bit. Predicting the winner is next to impossible. Vitality looked a bit better overall, they showed more versatility over the last two weeks with Kikis, but you can no longer overlook Amazing and Schalke. They’re drafting comfort picks and the shift in the meta will favor them immensely – but it’s not like Vitality don’t have an extremely talented ADC themselves. Vitality have the far superior early game, and even though they do fall off a bit in the late game that shouldn’t be too big of a problem if they create a solid lead early on. Speaking of leads, they’re Top 2 when it comes to their gold differential at fifteen minutes, they have much better objective control when compared to Schalke as well – faster to get first blood, first turret, as well as better Herald and Dragon control. When you add everything up they should be favored, but there’s always that constant fear of Vitality making an incredibly dumb play that costs them the game. Hopefully, they prepared a ton for this match-up as they’re surely aware of it’s importance. While we didn’t get any big surprises yesterday when it came to results, there were a couple of interesting tidbits that could impact the remainder of the Summer Split. First of all, we’ve seen a meteoric rise in Akali’s popularity – Caps, Perkz and Nukeduck all played her on Blue side, and they all emerged victorious. Now, it’s no shock that the reworked Akali is somewhat overpowered – especially when she gets level six – but the amount of damage and outplay potential that she brings to the table is absolutely insane. When placed in the hands of a top-tier mid laner, you get an insanely strong pick. Problem is, right now she’s a must ban for teams that are on Red side, and since Riot released her so recently, no one really has a thought-out strategy on how to best neutralize her strengths. It’ll be very interesting to see how the second day pans out, and whether or not we’ll see some serious strategic changes in the pick and ban phase. Also, with yesterday’s games, there are now multiple teams locked in for playoffs – Fnatic, Misfits, Schalke 04 and G2. The last two spots are almost certainly going to Team Vitality and Splyce, however the order is still an uncertainty. Team Vitality vs. H2K – For our first match of the day we have a somewhat uneventful clash, but it could turn out to be quite the barnburner. Both teams have a tendency to throw macro “out the window” and just group as five and push mid, and that could lead to some incredibly exciting teamfighting. For Vitality, this is a must win if they want to secure a spot in the playoffs, and they know it. H2K doesn’t have any reason to tryhard, other than to play spoiler and perhaps get some redemption after getting demolished throughout the Summer Split. We’re going with Vitality on this one. They didn’t play that well against Schalke, they drafted a worse team comp and didn’t execute well enough, they made too many mistakes that were punished heavily, and even though H2K have the tools to make this into a highly competitive scrap, Vitality should have the edge. ROCCAT vs. Unicorns of Love – Unfortunately for ROCCAT, they failed to take down Splyce yesterday, and by proxy reach the playoffs. While they still do have a chance, it’s quite literally below 1%. For this match, there’s absolutely nothing on the line. They’re surely crushed after not being able to fix their issues throughout the split, and right now they’re simply not looking like a top contender. Unicorns, on the other hand, brought back Samux to their starting roster and immediately looked a lot better. They went blow-for-blow with G2 and their teamfighting was on point. Because of that, we’re going with the Unicorns on this one. While they did lose to G2 eSports yesterday, they displayed far better teamfighting and decision-making against a top-tier team, whereas ROCCAT fell prey to their classic playstyle – strong early game, huge blunders in the mid and late game. While this match could go either way, the Unicorns should have a slight edge. Schalke 04 vs. Giants – This is where things get interesting. The next three matches of the day all carry some significance in regards to the playoffs. Schalke are coming in hot after their key win against Team Vitality, and they’re fighting to get a playoff bye. They outplayed Vitality in almost every stage of the game. Whatever Vitality had in mind, Schalke not only had a response but they always punished incredibly hard. They were more proactive, more aggressive and in-sync in key moments. They all played incredibly well, and perhaps most importantly drafted an incredibly strong team comp while at the same time punishing Kikis’ champion pool. Giants, on the other hand, failed to show much against Fnatic. They were picked apart from the very get-go by Broxah and Caps, and it didn’t take long for Rekkles and Hylissang to come online as well. While they do have the tools to make this somewhat close, they shouldn’t be able to punish Schalke’s mistakes – if they even make any. Betting on Schalke would be the better and more logical choice. G2 eSports vs. Misfits – Another incredibly interesting and important match. Misfits are currently tied for first with Fnatic, however their level of play is currently absolutely abysmal. They’re playing like a bottom four team and it’s almost painful to watch. They subbed in Jesiz yesterday in hopes to bring another shot-caller into the line-up and perhaps get something going but they looked perhaps even a bit worse than with Mikyx. G2 on the other hand weren’t perfect against the Unicorns, but they were able to clutch things out when it mattered the most. Hjarnan was, surprisingly, the man of the hour. Not only was he deathless throughout the extremely chaotic game, but he dished out the most damage in the entire game. 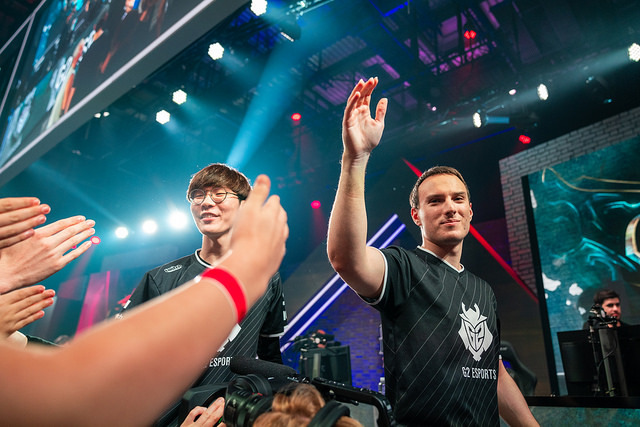 His Varus was a thing of beauty, and if G2 manage to clean up their individual play as well as some mid-game calls, they should be getting back to their pre-Rift Rivals form. With how badly Misfits are playing currently, it’s impossible not to give G2 the benefit of the doubt. Fnatic vs. Splyce – And finally, we have a clash between the number one team in the region and Splyce who are comfortably sitting at sixth place. Fnatic looked as good as they ever did with Rekkles in the line-up, and even though he needed some time before getting amped up, they didn’t skip a beat with this change in the roster. Broxah pulled out his staple Elise pick, and when paired with Caps’ insane Akali play, they hardcarried the early game almost single-handedly. Splyce on the other hand were barely able to take down ROCCAT. They were losing throughout the game, but they were playing the long con. In classic Splyce Spring Split fashion, they waited until the late, late game. A solid teamfight later, they were able to close things out and get the win. It wasn’t pretty, in fact, it was boring but at least they got by. However, such a passive, reactive playstyle isn’t enough against an aggressive, playmaking team like Fnatic. Because of that, we’re siding with the “Kings of Europe”.